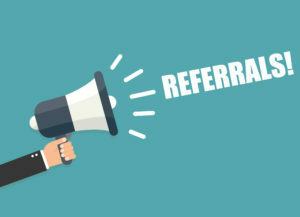 Referral Sources can be a Protected Legitimate Business Interest - В сложной финансовой ситуации приходит на помощь кредит наличными в Казахстане. In a big case for employers that rely on referrals for the viability of their business, the Florida Supreme Court held that referral sources may be a protected legitimate business interest under Florida Statute s. 542.335 based on the context and proof. Hence, referral sources can be protected under a non-compete / non-solicitation agreement that prohibits the employee, upon leaving, from soliciting referrals for a period of time. White v. Mederi Caretenders Visiting Services of Southeast Florida, LLC, 42 Fla. L. Weekly S803a (Fla. 2017) (holding that referral sources for a home health care company may be a protected legitimate business interest depending on the context and proof). This is a big win for employers that have employees sign non-compete and non-solicitation agreements as a condition of employment to safeguard referral lists and sources. Notably, the term “referral sources” is not specifically called out in Florida Statute s. 542.335, which is a statute that deals with valid restraints on trade (or restrictive covenants in employment agreements such as non-compete or non-solicitation-type agreements). However, the Florida Supreme Court confirmed that the specific legitimate business interests called out in the statute are non-exhaustive meaning other interests, such as referral sources, can constitute a legitimate business interest of an employer. The context and proof is important, however, with respect to any business interest to establish it is actually a legitimate business interest that should be protected in a restrictive covenant (such as a non-compete or non-solicitation-type agreement). However, the statute ameliorates any concern regarding overly restrictive covenants. Section 542.335 commands courts to modify, or blue pencil, a non-competition agreement that is “overbroad, overlong, or otherwise not reasonably necessary to protect the legitimate business interest,” instructing courts to “grant only the relief reasonably necessary to protect such interest.” Thus, section 542.335’s phrasing of the business interests that may be protected in broad terms and its restricting courts from applying certain rules of contract construction, the statute grants trial courts fairly wide discretion to fashion the appropriate context-dependent remedy. White, supra, (internal citations omitted). This language is germane because it reaffirms a trial court’s wide discretion to modify or blue-pencil (red-line) a non-compete or non-solicitation agreement that may be overly broad to protect only those business interests the court deems legitimate. Thus, the trial court does not have to deem the agreement unenforceable, but can modify the terms of the restrictive covenant language and fashion the appropriate remedy to protect the true, legitimate business interests of an employer.